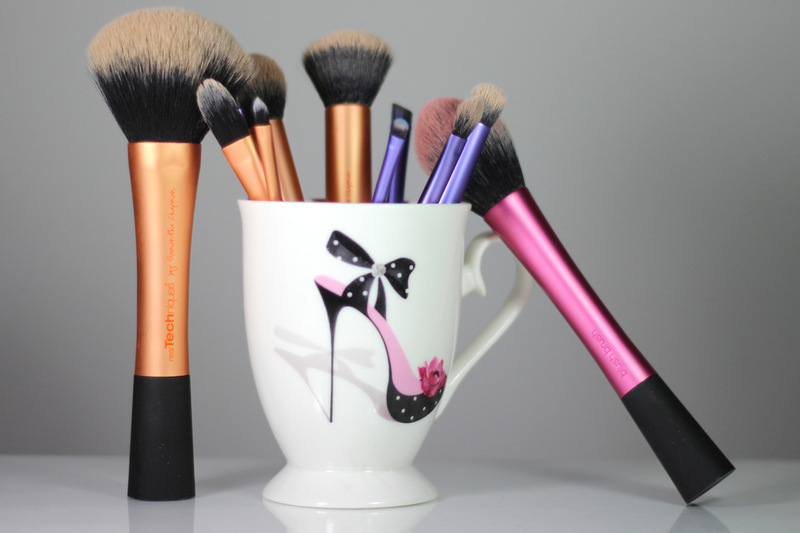 I don’t know about you, but I have spent a LOT of money on makeup brushes in the past and have never really fallen in love with any of them. Here’s the drill: I go to the mall. Ask the makeup “expert” to show me a brush that they recommend. They sit me down to show me how great it is, and of course it works magically. I spend $50.00 on the brush that I’ve been looking for all my life. Only to get disappointed soon after because the brush’s bristles are shedding or the application just didn’t work as wonderfully as it did when the makeup artist, with their perfect lighting, used it on me. The definition of “insanity” is doing the same thing over and over again and expecting different results. Guilty! Once I moved past my denial stage and into the acceptance stage, I started looking for other options and in drugstores instead of department stores. I was pleasantly surprised to find a brand that I HIGHLY recommend. And the best part – they are a one-fifth of the price of most high end brushes: REAL TECHNIQUES! The bristles are soft and feel gentle against your face. Base of the brush is flat so it can stand up on its own. Made with synthetic hair making them 100% cruelty-free. 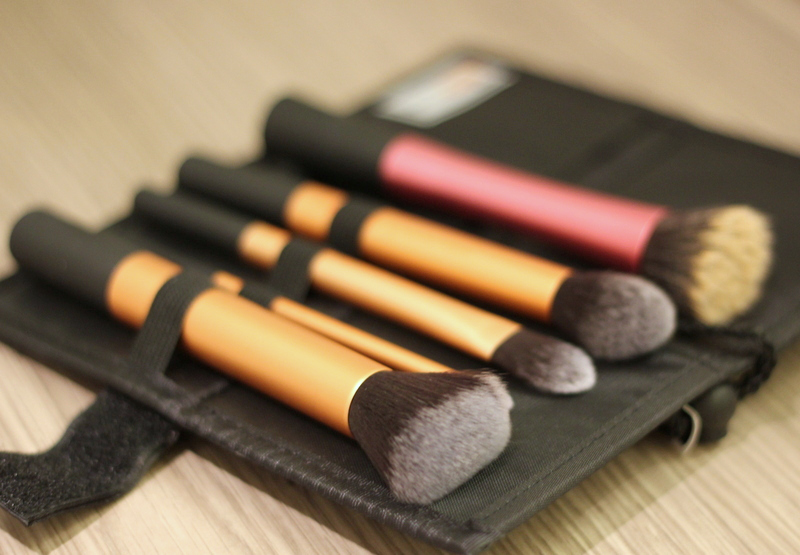 Most of their brushes are sold in a set of 5 for about $18.00, and they have travel like storage cases that have room to hold more brushes. 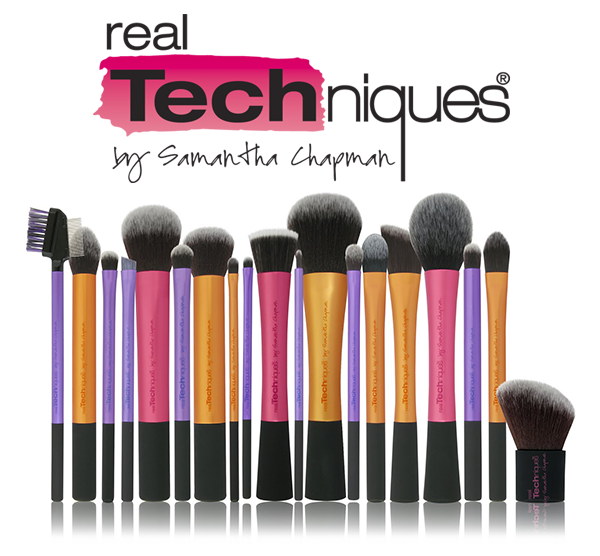 My FAVORITE Real Techniques of all-time is the Expert Face brush. 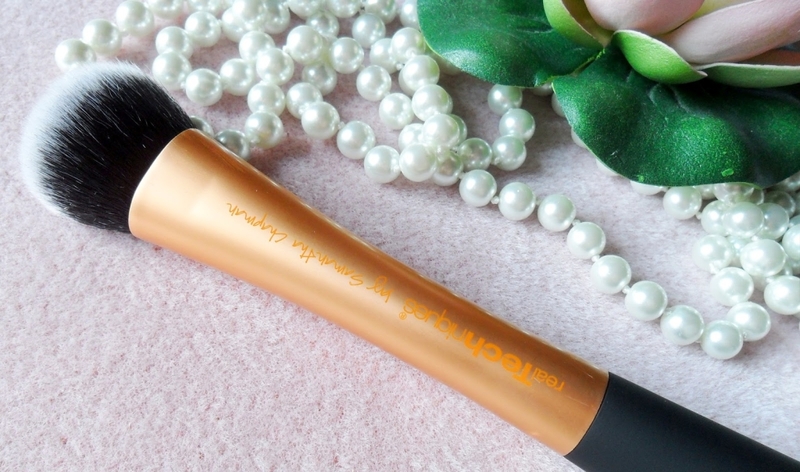 This brush can pick up product like a dream and can be used for many different purposes.